I love Alliums! Its common name, Flowering Onion, might make you think they smell like onions, but they actually don't have much of a scent. Alliums are elegant, sculptural and offer a form and texture that is unique and very useful in practically any garden design. They are super easy to grow in zones 5-8, love sun and prefer well-drained soil. One of my favorites is 'Globemaster' with its large globe-shaped heads of lavender-purple blooms held high on strong sturdy stems. I think Alliums are interesting in all stages of their growth - before they open, in full bloom, and even after the blooms have faded. They also look spectacular in a vase. I plant them in the Fall with my other bulbs and this year in the Northwest, they started blooming mid-May. 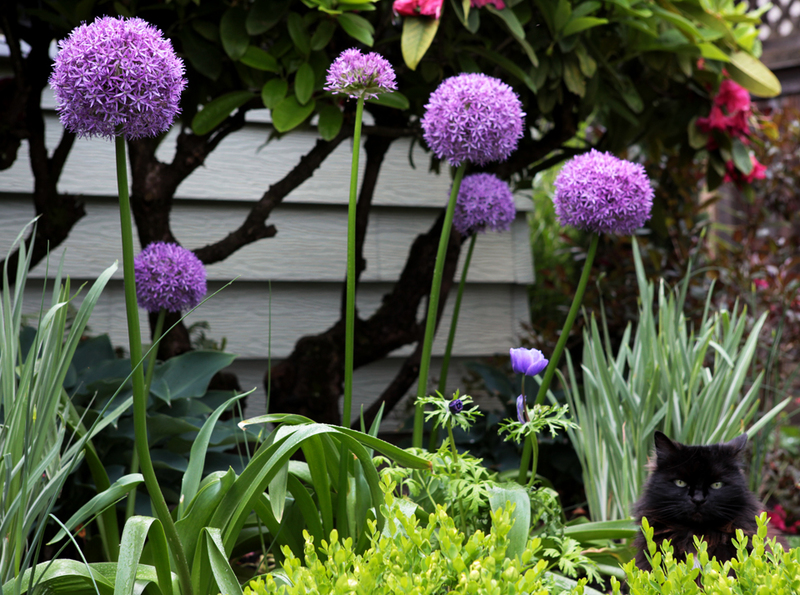 I like to plant my Alliums in drifts of at least 5 - 9, depending on the design. My Globemaster's are sitting behind a low boxwood hedge, which doesn't really hide the foliage, so I'm going to dig them out and store. Next year, I'm going to pair them up with summer-flowering perennials, like Echinacea purpurea, Salvia, Alchemilla mollis. The expanding perennial foliage will hide the withering Allium foliage. I also planted Allium 'Purple Sensation' which bloomed early May and were quite beautiful with my deep purple Queen of Night tulips. 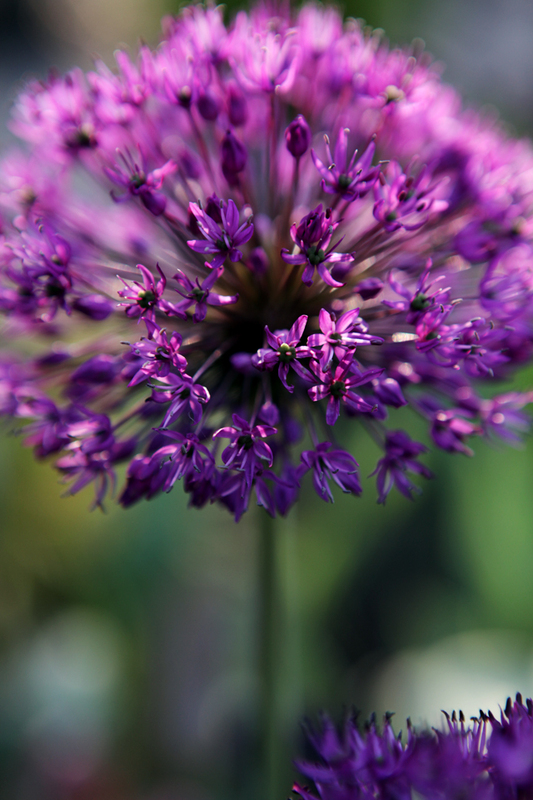 Anyone else have a favorite Allium you'd like to share? Send photos to holly@thewhitepear.com. I'd love to post them. And, check out the links at the bottom of this post. You can comment, like, and share. Enjoy and always love hearing from you.